Regen Henning heads to Springfield in September for the BOTB! Regan is not stranger to the spotlight. She has many wins under her belt and many more to come. 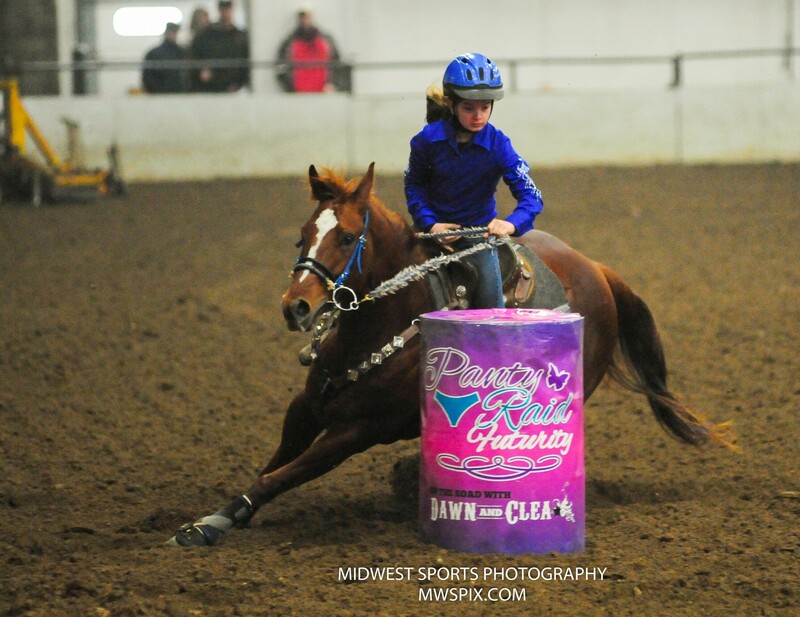 She qualified on 2 horses at the BOTB in 2014. She will be coming on strong as she always does trying to take the win. What is your best memory of you and your horse as a team? Winning the 2013 BFA Futurity Horse of the Year. What is your favorite arena and why is it the one you like the most? Springfield because my horse runs good in it! Watch for Regan and Story Tellen Daisy to run up the alley way at the Best of the Best! Can you name one or more people who inspire your riding? Cody Bauserman, I have known him my whole life and nobody works harder and he is such a great trainer! What is your best memory of you and your horse as a team? Winning District 6 year end Youth saddle with her! What is your favorite arena and why is it the one you like the most? Springfield, She seems to really like that pen. How long have you had the horse you qualified on? We have owned her since 2010, I started running her some in 2012, but consistently in the last year. Watch for Regan and Perks Routine to run up the alley way at the Best of the Best! Previous Anne and Show Me Some Glory are back again for Round 4! Next Out of Stater Loren Altman and Elvis need a Little Less Conversation!